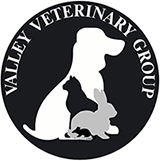 Here at Valley Veterinary Group, we hold RCVS Small Animal General Practice accreditation at our Kilmarnock practice and RCVS Core Standards at our Stewarton branch, which are the schemes most appropriate for us. In addition to this we have received three Outstanding Awards: Client Service at both our Kilmarnock practice and Stewart branch and Team and Professional Responsibility at our Kilmarnock practice. These standards are specifically for practices like us because we treat small animals, farm animals and/or equine patients.